Recently a giant billboard went up in Midtown Manhattan. It is 29 feet high and 13 feet wide, and shows a naked Alicia Silverstone in a grassy field peeking coyly over her shoulder and holding a sheep's mask. The message: "I'd rather go naked than wear wool: Wear your own skin. Let animals keep theirs." When PETA pops up, you know it's that time of year, with temperatures dropping, gift guides proliferating and fur (or, in this case, sheepskin) once again becoming a topic of debate, setting activists against enthusiasts, man against nature, indulgence against ethics. But as the holiday season begins, it may be worth pausing to consider another idea, courtesy of a designer who exists far outside mainstream fashion: an approach to the subject (and the product) suggesting that gratitude should extend from food to clothing, and that before judgments are levied, origin and intention should be considered. What he does, and has to say, will probably upset a lot of people, as he knows. In many ways he is a lone voice in the wilderness. Literally. But that doesn't mean he isn't worth listening to. Sitka, Alaska, may be the largest city by area in the United States (it is four times the size of Rhode Island), but it has a population of approximately 9,000 people. To say it is not a fashion town would be something of an understatement, just as to say that Peter Paul Kawagaelg Williams, the founder of Shaman Furs, is not a fashion person would be putting it mildly. 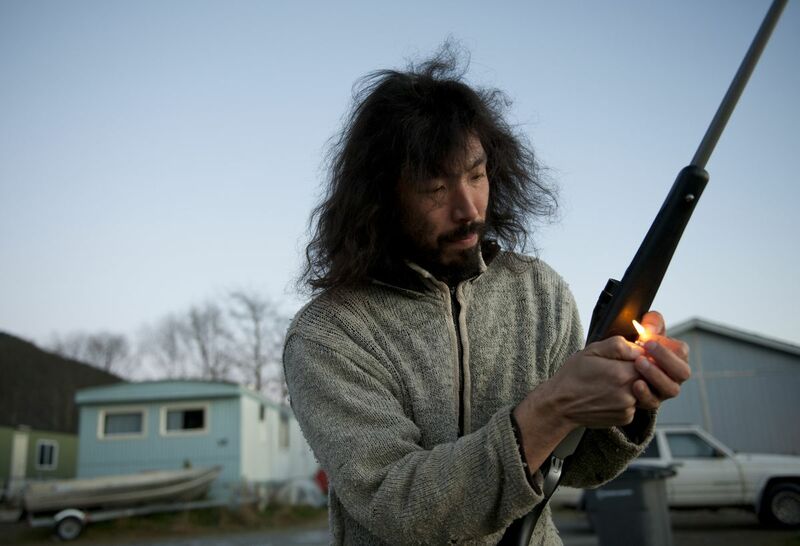 He is, rather, a somewhat scruffy 34-year-old Alaska Native with long hair and no formal design education who identifies as an environmental activist and member of the Yup'ik tribe, and who has made it his mission to reintroduce style to the allure of sea otter. Not to mention the idea of traditional subsistence hunting, and the value of knowing your clothes. He is also the star of the documentary "Harvest: Quyurciq." "I thought it was a really niche subject," Michael Dempster, a co-director of the film who is based in California, said of Williams' trade. "But then I started telling my friends about it, and the reactions were so polarized, I thought there was something there." On the one hand, there is the popular (and justifiable) distaste for anything that involves the killing of cute, cuddly creatures. On the other is Williams' homegrown but broadly resonant and deeply felt theory about "mis-consumption" and the way we have become disconnected from what goes in our closets — and on our bodies. "We don't want to think about the plants we are wearing when we wear cotton, and we don't want to think about life and death," he said in a phone interview from Alaska. He thinks it should be the opposite. Williams comes to this belief as part of his birthright, and he expresses it in the form of a pencil skirt. He calls hand-sewing a "prayer" and says that for him, hunting equals environmentalism equals spirituality. For him, the universal language of fashion is the best vehicle for amplifying the heritage and legacy of his people while at the same time ensuring the future of those people — in part because his staple material is one of the most precious pelts no longer widely available. Sea otter was once among the most prized skins because of its lush pile: more than a million hairs per square inch. (The Chinese referred to it as "soft gold.") By the early 20th century, the animals had been almost hunted out of existence, before they were protected by the Treaty for the Preservation and Protection of Fur Seals in 1911. But an amendment to the Marine Mammal Act of 1972 exempted "Indians, Aleut, and Eskimos (who dwell on the coast of the North Pacific Ocean) from the moratorium on taking provided that taking was conducted for the sake of subsistence or for the purpose of creating and selling authentic native articles of handicraft and clothing." 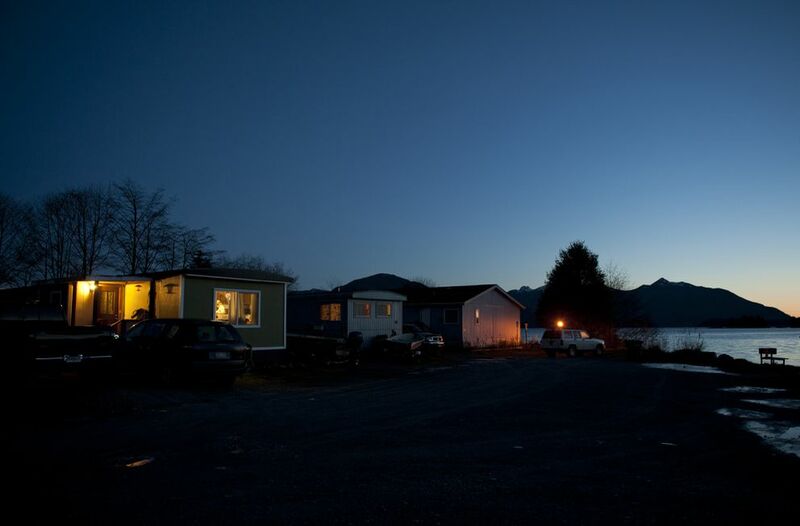 The amendment was in part a recognition of the fact that areas like Sitka had been colonized by Russians in the early 19th century in their efforts to dominate the maritime fur trade, and Native Americans enslaved in its service. Which means Williams has access to a luxury good — and a relationship to it — that global brands like Saga Furs and Fendi do not. Shaman Furs, a one-man operation run out of a 900-square-foot trailer that doubles as atelier and apartment, specializes in hats, vests, earrings and pencil skirts made from sea otter and sealskin, pelts that Williams harvests, designs and sews himself (the only part of the process he outsources is the tanning) in an elaborate combination of traditional ritual and modern basics. It involves an aluminum skiff, "smudging" (ritualistically cleansing the body and spirit with Labrador tea smoke), a .223 Ruger bolt-action rifle, a skinning knife, thanking each animal for the gift of its life, and the rite of giving the otter or seal a last drink of water after its death. The ritual doesn't obviate the visceral nature of the hunt, even for Williams, but that is part of the point. He makes a few hundred items a year, which sell for $18 (for a key ring) to $5,500 (for a blanket); skirts retail for around $1,500. His business can sustain itself, barely, but he needs supplemental income, and catches and grows much of his food himself. Williams came to fashion relatively late and, not surprisingly, by a circuitous route. Raised by a single mother, he left high school at 17, ended up in Portland, Oregon, and tried unsuccessfully to be an artist. 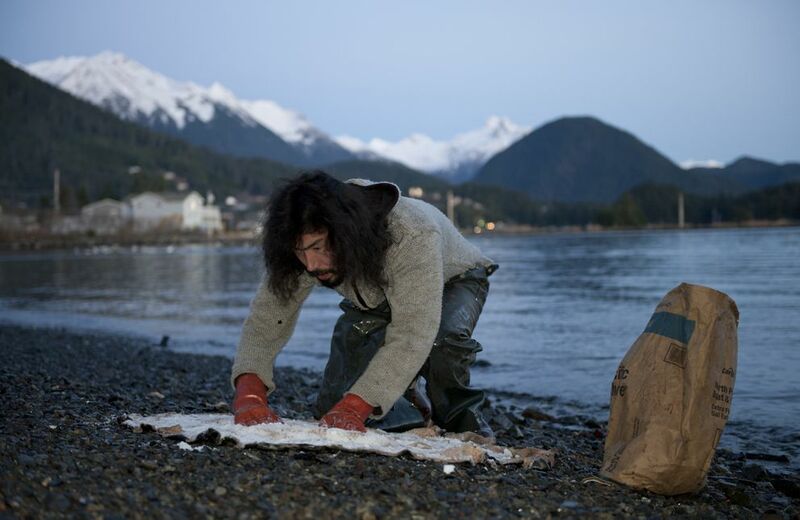 Seven years ago, he returned to Sitka and his own history. "The Western world would say I am self-taught," he said, "but I have had various mentors and have learned by trial and error." He started cold-calling people in New York. There is a section on the Shaman Furs website called "Beyond Haute Couture." The sentiment makes sense, though he has a ways to go before the aesthetic catches up. "I want to be in a boutique or the like in NYC, though keep Shaman Furs a microbusiness," he said, "to maintain the individual relationship I have with the animals, and create an intimate experience for those wearing my work." He is not the first person to see the parallels between traditional tribal craftsmanship and the fashion art of handmade garments, with their emphasis on the unique and the one-off. Such thinking has given rise to companies like Maiyet, which bills itself as a "luxury fashion brand that partners with global artisans," as well as a program at the International Trade Center called the Ethical Fashion Initiative that connects artisans to brands. But without this kind of established umbrella organization, carving a niche in the mainstream fashion world is fairly daunting. Williams knows he has to get his head around wholesaling and expand his product offerings. He is thinking about coats and trousers. To that end, in February 2015, he went to New York Fashion Week, and was part of the downtown TechStyle lounge trade show. Last May, he found his way to Brooklyn Fashion Week, where he put on his first runway show, complete with 14 models. He is looking into Seattle Fashion Week. Dempster's film has been making the rounds of Native American film festivals around the West Coast and was just accepted at its first nonnative event, the Green Bay Film Festival. "I know I have to get out of Alaska," Williams said, if he really wants his message to be bought, in every sense of the word. It's not that he expects to change Alicia Silverstone's mind, or convince PETA. His clothes don't make that kind of statement and probably couldn't if they tried. He's just trying to unpick assumptions, one stitch or pair of earmuffs at a time.